and they had 6 children. 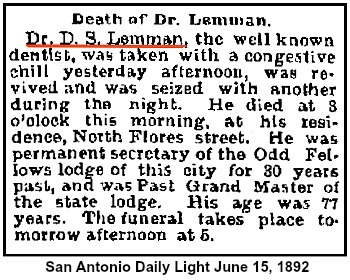 He passed away on June 15, 1892 in San Antonio, Texas. 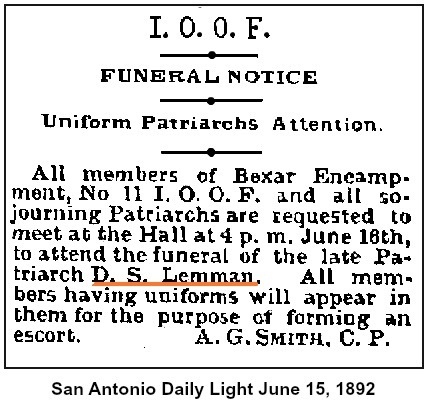 Located at the Odd Fellows Cemetery in San Antonio, Texas. 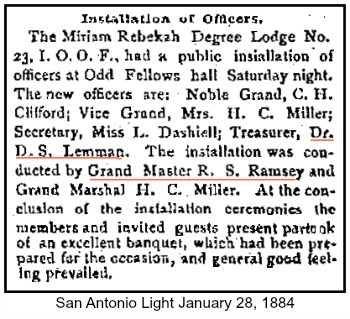 In 1885 the Grand Lodge of Texas Independent Order of Odd Fellows, founded the I.O.O.F. Widows and Orphans Home. 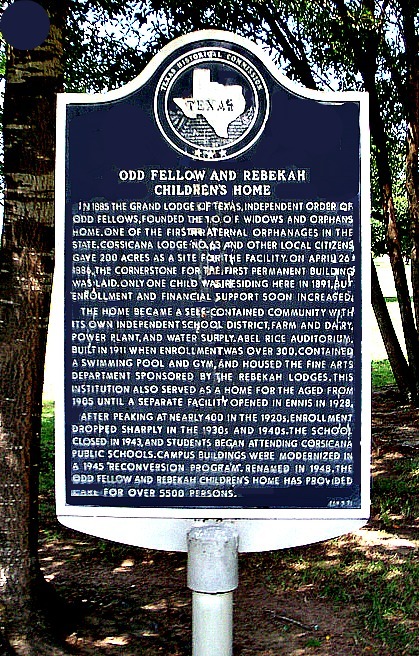 One of the first fraternal orphanages in the state. 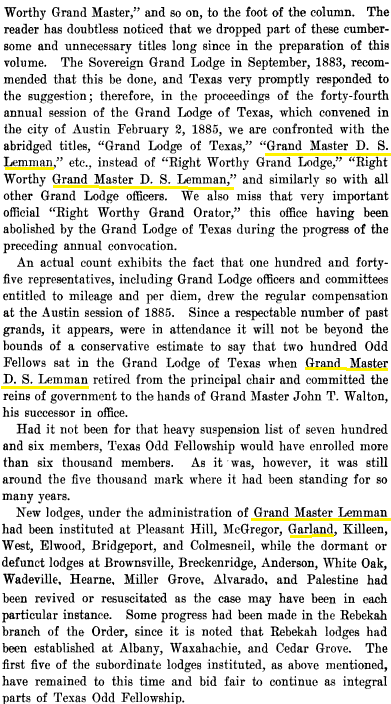 Corsicana Lodge No. 63 and other local citizens gave 200 acres as a site for facility. On April 26, 1886, the corner stone for the first permanent building was laid. 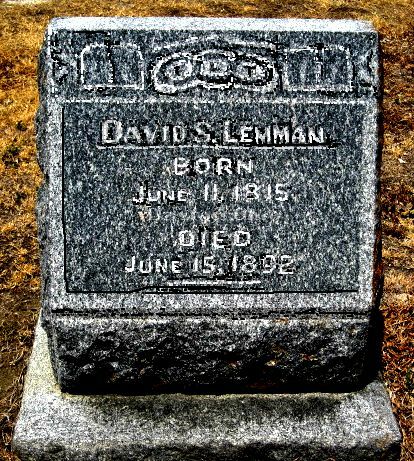 Only one child was residing here in 1891 but enrollment and financial support soon increased. The home became a self-contained community with its own independent school district, farm and dairy, power plant, and water supply. Abel Rice Auditorium built in 1911 when enrollment was over 300, contained a swimming pool and gym and housed the fine arts department sponsored by the Rebekah Lodges. This institution also served as a home for the aged from 1905 until a separate facility opened in Ennis in 1928.